If you are familiar with showing and breeding then you will almost certainly recognise the reference to a ‘line’ or a ‘strain’ and this becomes immediately obvious when you start to look at show winners. A particular exhibitor will have a row of birds all appearing exactly the same, and in fact the average member of the public visiting the show would be hard pressed to spot even the smallest difference. This range of related birds will all have been bred in a specific way to maximize the preferred features and minimise or even eradicate those physical traits which fall ‘foul’ of the breed standards. The line is fixed to such an extent that a judge will recognise instantly a specific breeder’s stock, and would even be able to tell which line a new exhibitor’s bird originates from. 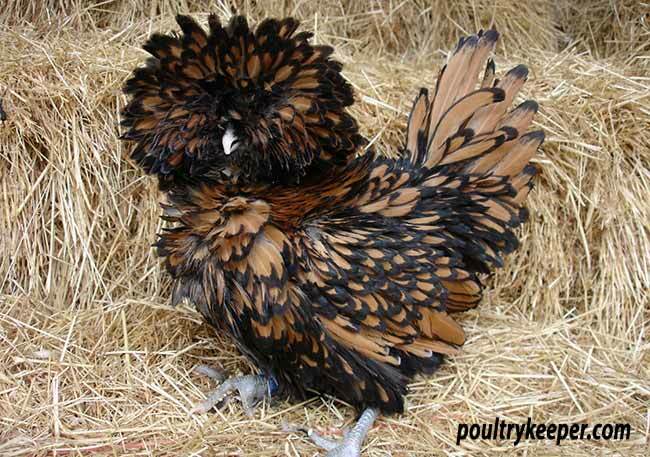 A pure line possessing all of the traits required to become show winners will get the breeder noticed and a reputation for quality will naturally follow – how many times have you seen an ad for, say, silkies, with the statement ‘bred by’ or ‘from so and so’s line’? This is not without reason, as the seller knows that specific lines will fetch higher prices, just as they do in dog shows. These breeders have successfully ‘set’ the required traits into their stock which will breed true to the next generation if mated within the line – i.e. inbreeding. Out-crossing or out breeding may cause recessives (those traits hidden by genetics) to surface and ruin a good line, as well as causing faults in the new line of birds to become set at an early stage and become difficult to breed out. Take for example size. Now this is a simple trait to fix, you take your large birds and mate them and produce offspring that are (normally) large; I say normally because nature has an annoying way of throwing in mutations just when you do not want them, which unfortunately happens in chickens quite often and is one of the reasons why we have managed to breed so many variations. If you have size in your birds then you will successfully breed birds of size – if you have small birds it is very unlikely that you will breed large birds from them, after all you cannot breed a rat from a mouse! It is theoretically possible to breed ‘up’ size, but this will take years and you will never normally end up with substantial birds, often referred to as birds with ‘bone’. So how does the novice, or even the experienced breeder, go about creating their own line of birds? A good exhibitor will normally only sell good birds to those who can demonstrate the willingness or experience to carry on the hard work of the original breeder. You will have to do your research first and get to know the secretary of the breed club as even in the world of poultry, networking is important as it puts you in touch with those in the know and brings you to the attention of other breeders who may be looking for a suitable ‘apprentice’ to carry on their hard work. Be warned – you must have the desire to perpetuate a specific chicken breed and be able to demonstrate the ability to make good stock – too many people are interested purely in winning shows and they are guaranteed to be back after two or three seasons to buy yet more birds as they have managed to ruin the line that they have obtained. It is far better to let the breeder know that you want a good group to enable you to ‘start up’. Avoid at all costs an arrogant or forceful approach, after all you are asking the breeder to let you have part of a line which will have taken many years (and in some cases generations) to make and they are under absolutely no obligation to assist you; some breeders in fact never let their birds go to anyone other than trusted friends and successful exhibitors of other breeds who have demonstrated that skill and dedication to warrant their trust. Bear in mind too that there are a number of successful exhibitors that will not want you to beat them and will only sell their birds to the highest bidder, although it is likely that these will fail in the long run and have to go back to another breeder who has the foresight to pass their bloodlines out for preservation and further improvement. Be respectful in your approach and show the breeder that you have an appreciation of their stock (if you can say which show you saw their birds at, even better, since we all love a bit of flattery). An ideal Breeding Group of 3 females to 1 male. Be prepared to wait for your trio as often the breeder will have a long list of people waiting for their birds, and they will also need to assess their own stock before parting with any. This wait will give you time to read up on your standards and prepare for the arrival of the birds, and if you get impatient, then why not buy a cheaper and readily available trio from elsewhere (graded poultry sales are ideal) to get used to your chosen breed and learn what the standards actually represent in a live specimen, oh, and make sure you have a copy of the poultry standards and at least one book on your breed handy (the club secretary will be able to help you with recommended reading). So having made contact with a breeder and arranged to buy a trio (a male and two females), be guided by the breeder’s recommendations on which birds you should have, better still if you ask them to select the trio for you and explain to you which traits are the best in the birds that you have purchased. The breeder will select you a good group by force of habit and will be only too happy to talk about the birds. This will help you make the decision on which of the potential offspring you should keep to cross back to the parents. 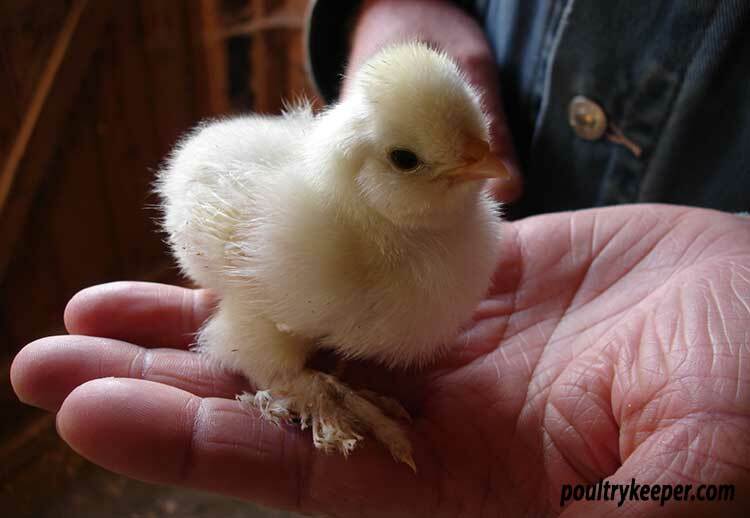 Buying eggs is not a good place to start as the chicks may exhibits faults and in any case a breeder will not be happy parting with eggs which contain their show hopes for the coming season. Some breeders will even set up specific pens of birds for the purpose of selling hatching eggs, and these parents will not be of the best standard. When your birds arrive, you should settle them in as normal, and once happy in their new surroundings only then should you think about breeding to ensure that you have no fertility issues caused by stress. From now on, your year will be devoted to hatching and rearing in as larger quantity as possible to enable you to have the widest selection to choose from for the following autumn when you set up your next breeding pens. You unfortunately must be ruthless at this stage and cull any chicks exhibiting serious faults or illness as you do not want to be wasting time and money growing on birds that you will not use and which will be counter productive to your efforts. At this stage in the process you want to be breeding firstly for vigour. Handle the growing youngsters regularly to enable you to become familiar with the different rates of growth both in body and feather so that eventually you will recognise the different stages and be able, with practice, to recognise the good from the bad at an earlier age. The chicks will become more docile when faced with regular attention and this will make it much easier for you to assess body shape as a relaxed bird will hold itself normally and give an indication of its compliance with the standard, and besides it is much more pleasurable to handle a calm bird than one which is flapping all over the place. Subsequent pen training, should you decide to show, will also be much easier. And on the subject of shows it is worth considering entering one in the late summer/autumn to get an idea of how they work and get yourself known, which will have the result of pushing up the price that you in turn can expect to get for your stock when you start winning! Don’t be disappointed if your first effort do not result in a rosette, use it as an opportunity to talk to the judge and get further advice on how your stock is doing. You will find that automatically you will tend to pick up the most visually appealing first and the handling will condition you to judge the next one in relation to it, thus enabling you to spot deformities and problems as well as those traits which excel, by a process of comparison. You will learn by feeling and watching exactly what the original mating has produced, and you should keep a diary as you go along to record your thoughts and observations as you will be surprised what you can forget in a 12 month period and you will find yourself referring back to your notes time and time again. Having grown your youngsters, and disposed of those which are not suitable, you will need to sort through the balance. Quality does not come quickly or easily – and if you think that you have pens full of good birds, than you are more likely to have pens full of average birds! Go through your standards again, and as you should still be on good terms with the breeder that you brought your birds from then why not see if they can give you a hand to make your selections and pass on some more valuable knowledge. Firstly, select the male that you feel is the best, the one which most accurately represents the standards for the breed, and then study him closely and list his faults. Next, pick a number of females which are excellent in the points that the male lacks. For example if you have a male with a weak head, then the corresponding females should have an excellent head. Do not however expect to breed together birds that are both good in all areas and get excellent chicks, as this rarely happens if at all, especially if you are dealing with a breed where the male and female are bred to different colour standards which are referred to as cockerel breeders and pullet breeders. It is worth mentioning here double mating, which is where you would breed together a specific pair to get males of an exhibition standard and another pair to get females of standard. 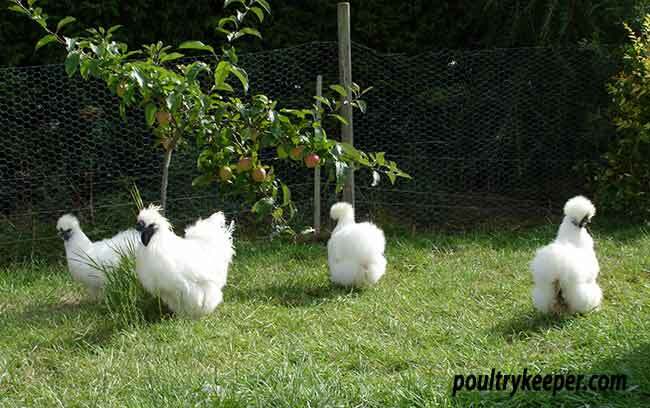 For example in cockerel breeding you would select a breeding a male of show standard and mate him with a female with male colouring characteristics (which means she is not of show standard). It is absolutely essential therefore that you know your breed before selecting your next mating pens as you may be discounting birds absolutely essential for breeding good quality birds in the next generation. Once you have selected the girls which compliment your boy, go through these again to select those with the least faults alongside the features bettering the faults on the male. You should then end up with a male and three of four good females – this is your first pen. Now, go back to your males and select another cockerel which excels in the area the first fails – he may not be as good generally, but in this particular area he will be better, and again select three or four females which compliment his faults; this is your second pen. Your original pen can be used in the selection or you can use them as a group again – this will be pen number three. You can make up as many subsequent pens as you have good birds, ensuring that at least one bird in the pen has all of the features needed to meet the breed standard, and remember too that if you are looking to improve size, then it is the females which should be large and with bone. Once these checks are complete then again, breed as many off as possible for the next generation, grow them on and select again, remembering to leg ring them to be able to identify which pen they are from. This time alongside your other selection criteria you should also seek to eliminate any faults present which appear to be prevalent in the line, if you have sufficient good birds to choose from. Remember to keep accurate records! This is the basis of your new line, the one which judges will come to recognise, and with your persistence, knowledge and dedication, will become a line which others will seek to incorporate into their own. My next article looks at how to introduce fresh blood and how to fix specific traits into your line. Apart from that, enjoy your chooks!